Hiring a landscape professional to handle your Omaha landscape needs will provide numerous advantages for your home. In addition to being educated and experienced in horticulture and lawn care and maintenance requirements, landscaping architects in Omaha have extensive design and construction knowledge. By hiring a landscape architect, you can benefit from a variety of skills. Take a look at some valuable benefits that a landscape architect can provide. Hiring a landscape architect is one of the best investments for your home, adding as much as 15 percent to its value over comparable houses. They are well equipped to design an outdoor living space that will not only add value, but also extend your living space while allowing you to enjoy all that nature has to offer. Arbors, installed seating, fountains, fire pits/fireplaces, patios, and even outdoor kitchens can create a space that is both inviting and environmentally sustainable. A big advantage of hiring landscape architects in Omaha, is that they’re trained to think about landscapes as systems. They will assess your property’s problem areas as well as possibilities and create a solid plan that addresses both the big picture and exact details of how your landscape will look. They will also help you select the perfect materials, styles, textures, and colors for your landscape project. 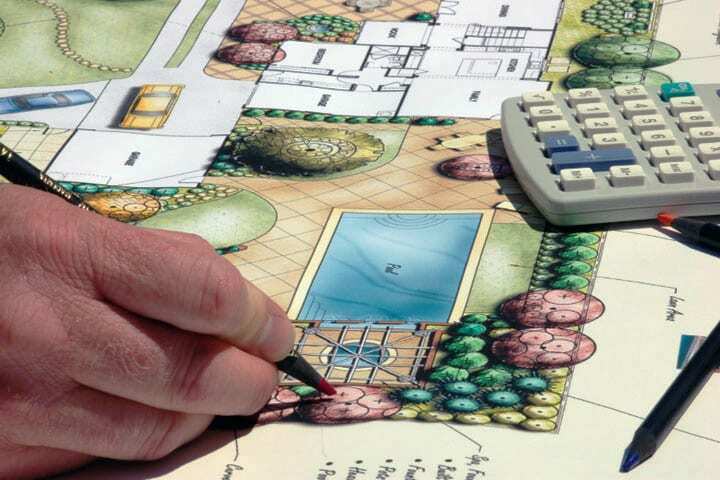 A landscape architect will handle all the details, saving you time and stress. Landscape architects know where to place trees to lower energy bills. The proper placement of trees and large shrubs can actually lower energy bills by reducing heating and cooling costs, and a knowledgeable landscape architect knows exactly where they should be placed. Landscape architects will remain involved with the construction and follow through. What the homeowner may consider a long weekend project might actually take weeks. Landscape architects will design a landscape you will love. Landscape architects will deliver a finished project that you will love but also comply with regulations and codes. It will be a special place that you and your family and friends will enjoy for years to come. Our company was built on growing relationships! Your landscape design is a living, breathing, ongoing project. We’re not going to simply leave you high and dry once the build is complete. We’ll help you every step of the way from landscape design to landscape installation, and every step in between. We make a point to build a relationship with you and your landscape and continue to provide you with quality service long after the initial plantings. Contact Us Today!